The SEC's latest plans are sure to draw a crowd. In this case, it's the crowd that is gathering around companies with newfangled funding schemes to help them buy stock in firms not big enough for initial public offerings. The Securities and Exchange Commission on Wednesday voted unanimously to propose rules that, for the first time, would allow investors to buy stock in companies over the Internet using a crowdfunding exchange. These rules could reinvent the way companies raise money by allowing them to bypass the traditional costs of going public, which usually involves hiring costly investment bankers and accountants. The SEC's vote on so-called equity crowdfunding is in direct response to Title III of the JOBS Act, passed last year, in which Congress is looking for a loophole to allow smaller companies to get an exemption from the strict rules controlling the sale of securities to individuals. Congress is hoping that by using Internet crowdfunding, small and promising companies could gather capital needed to grow and expand from a wide pool of investors. The rules would create a new financial entity, called a funding portal, which would be a website that would electronically connect investors with young companies looking to raise money. The SEC's approval is needed since such sites now are banned. With the new rules, the SEC is looking to open the concept of crowdfunding to the public, while still offering investor protection. The new elements of the rules would cap any company's ability to raise money through crowdfunding to $1 million every 12 months. For investors with an annual net income or net worth of less than $100,000, every 12 months they can invest up to 5% of that, or $2,000, whichever is more. Those with an annual income or net worth exceeding $100,000 can invest up to 10% of that every 12 months. Securities bought through portals would have to be held a year before being sold. Equity crowdfunding still hasn't become a reality. There will be a 90-day period for the public to issue comments. The SEC will then review those comments and make a final determination. The process of approving crowdfunding has taken much longer than most expected as the regulator balanced the need to help companies raise capital, but protect investors from scams. 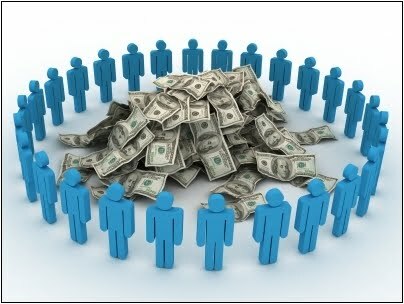 Crowdfunding today is rife with examples of consumers donating money to entrepreneurs, only for those people to take the money without ever producing the product or service that was promised. There are still skeptics. "Though expected, it was a poor decision by the SEC," says Andrew Stoltmann of Stoltmann Law Offices. "This is not a good day for financially unsophisticated investors who will be targeted unrelentingly by stock promoters."